“You have to live your path,” rapper Common preached during his lecture on Oct. 14 at Millersville-based Millersville University. The wordsmith, actor, model and humanitarian found his path as child in his hometown of Chicago. 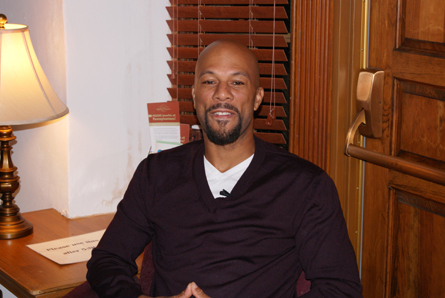 Common also incorporated spirituality in his lecture. He quoted from the Bible and credited the Chilean miners for believing in God while they were trapped for 69 days. 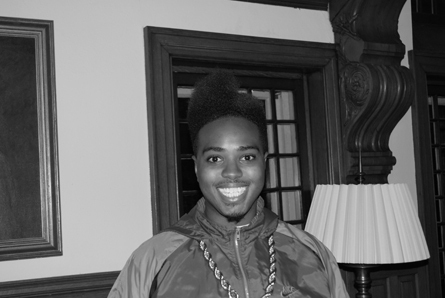 “Nobody is above God’s domain,” the rapper affirmed. He gave the audience a taste of his first rap song inspired by a local rap group from Cincinnati. With the help of his first producer No I.D., Common put the Chi on the map. And classics, such as “I Used to Love H.E.R.,” “The Light,” and “The Corner,” launched him into the hip-hop stratosphere. 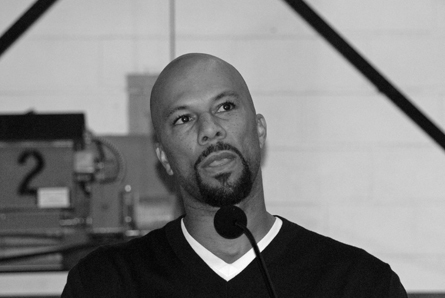 With 18 years in the rap game, Common is still churning out hits. How does it feel to still be relevant, vigoronline.com asked. “It’s a blessing,” hip-hop’s elder statesman said. MU students opened up for Com with an open-mic segment. One singer amazed the crowd with his cover of John Legend’s “Ordinary People.” (Legend is also part of the G.O.O.D. Music family.) The opening singer’s confidence was a testament to Common’s lecture. “You can’t be afraid to wear greatness,” the celebrity rapper said. Common sits with the media. Photo by Leon Laing. Clifton Johnson opened up for Com with a poem. Photo by Leon Laing.